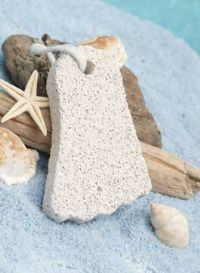 Slough away rough and callused skin with this little pumice stone shaped like a foot. Please Note! This stone does not come with a hole and rope as shown in the photo.